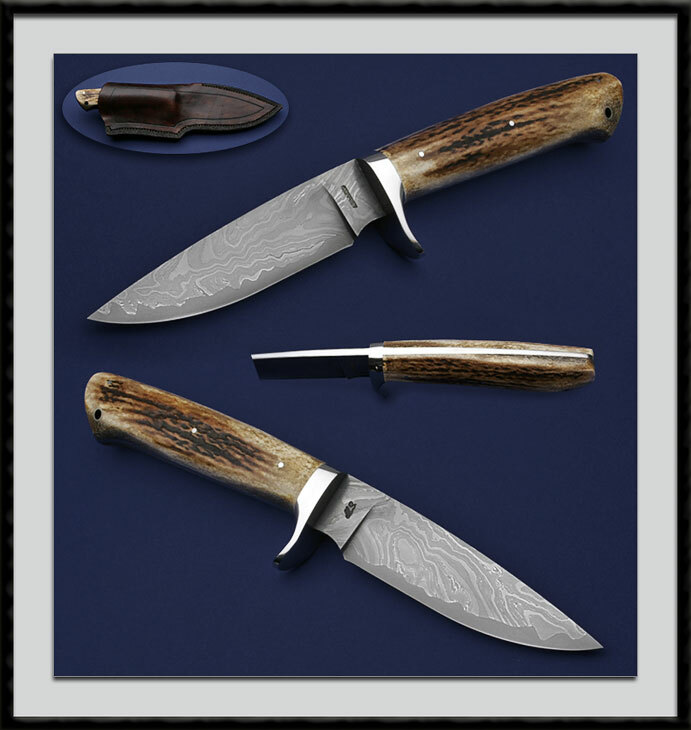 ABS Master Smith, Ed Caffrey has crafted this large Hunter, Caffrey San-Mai forged Damascus Steel blade, Distal tapered with a Rounded and Mirror polished Spine, BL = 5 1/2”, OAL = 11 3/8", handle length = 5 3/4", SS Fittings and thick Stag scales. Fit and Finish are that of a Master Smith. Condition is Mint. Comes with Ed's custom 9-10oz. leather sheath pictured.